INVESTIGATION: "Clinton Foundation Not Suitable For Charity Organization" - Financial Investigators (13 December 2018). Video Source: Youtube. NY AG: President Trump Charity Showed A 'Shocking Pattern Of Illegality' | The 11th Hour | MSNBC (18 December 2018). Video Source: Youtube. Those who cringe as they listen to the opposing view should ask why they have this uncomfortable reaction, and ask further how they could listen to the same story when it is angled toward their political comfort zones with very little resistance. They should ask themselves how they got to be so conditioned. There are many archetypal political narratives currently employed in the media: the they're-anti-democratic narrative; the they're-going-to-bankrupt-this-country-narrative; the they're-insane narrative; the they're-corrupt narrative; the they're-going-to-be-dragged-off-in-shackles-any-minute narrative; the we-know-the-real-truth narrative. This pattern holds true for hot-button issues like Brexit, immigration, and transgender rights, which are used as catalysts to set off underlying stories. Above, see just one example: the illegal-charities-hiding-dark-interests narrative. Trigger the archetype and the insanity starts: on go the masks and off we go in a frantic dance, unthinking, whirling, accepting and repeating the beats of the story. Because of political divisions, most people assume only one angle of a narrative can be true, but not both (or neither!). Citizens pick the story which aligns with their own personal opinions. They may be so trapped in their own political bubble that they may not even know that the people with whom they vehemently disagree are being fed - and believe - the exact same archetypal story, cast with different players. This holiday season, have compassion for those with whom you disagree. You're more alike than you think. In the view of alt-Youtuber Dark Journalist (aka Daniel Liszt), the media are creating the Two Minutes Hate depicted in Orwell's Nineteen Eighty-Four, in which they whip people up into a frenzy against their political enemies, after which everyone goes back to work and the totalitarian system is left to grow and grow. No problems are solved, and the masses fail to see how the Two Minutes Hate entrenches conformity, blows off steam, and perpetuates enslavement, despite the Hate's narrative of popular truth and empowerment. This goes for left and right, where each side has its favourite commentators who broadcast a Hate each day. 1984 (1/11) Movie CLIP - Two Minutes Hate (1984) HD (22 April 2015). Video Source: Youtube. "How would you like to be 'round and 'round in a whirlpool of what I call Two Minutes Hate on Youtube, where you get to hate political figures for two minutes by your favourite host and then you don't get to the real core of what's happening? You just go 'round and 'round hating these people. Look at this whole week that we've had that just went on with Kavenaugh ... . We're really looking at a situation where we need to lift our consciousness up against the things that are being drowned out." How liberals see conservatives and vice versa. Do we really think that people who disagree with us are upside down, socially, culturally, morally, economically, politically? Or does the lens only make them seem so? Image Source: Chris Bolin/Mitch Kern/Macleans. The media are like a camera obscura, a lens which reverses the view of reality. Of course, tyranny and corruption need to be rooted out, but if the population's vision is obscured by the Two Minutes Hate, it becomes almost impossible to accomplish this. Reversed projections are oppressive, depressing and confusing to those who confront these distorted representations of reality. We are split by imposed and false divisions, by inversions and reversals. 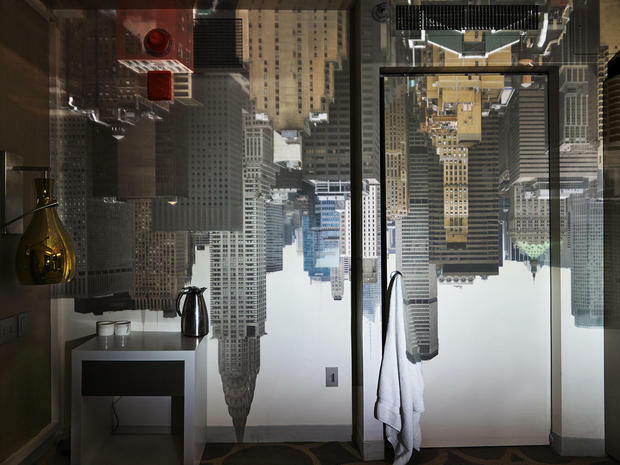 “View of Manhattan and the Chrysler Building Looking West, New York, 2015,” by Abelardo Morell. 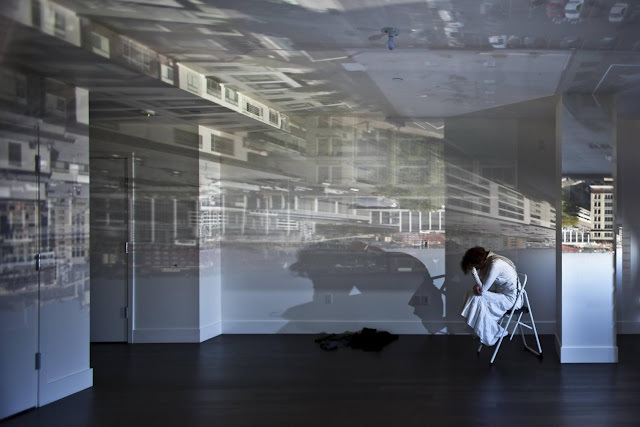 Image Source: Abelardo Morell/CBS News. How the world appears through media representation. Images Source: Learn Photography. Image Source: Camera Obscuras/Zoe Leonard. 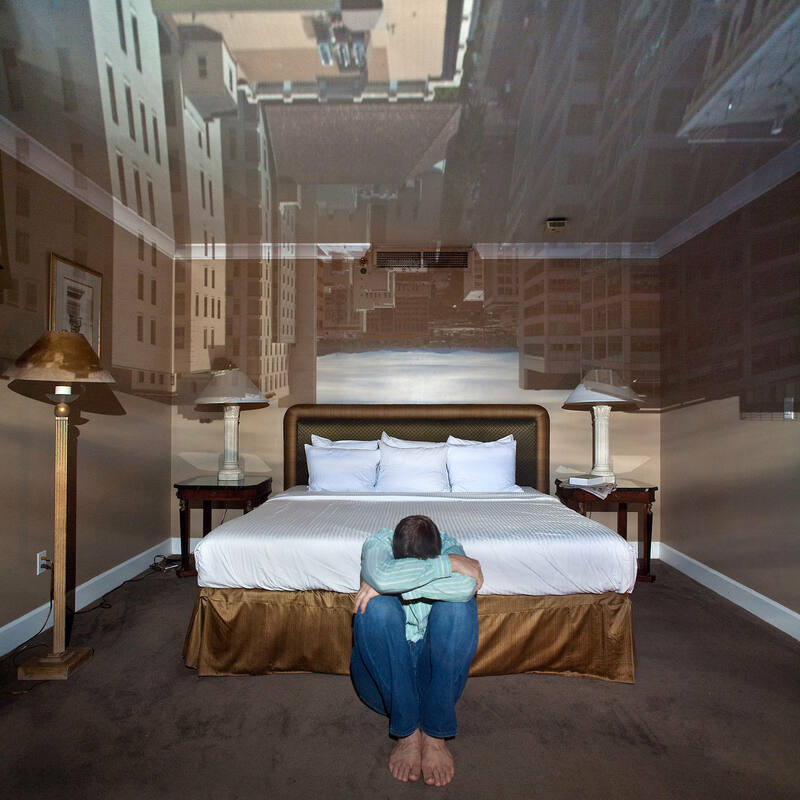 Camera Obscura: Outside In(n) 17; The Benson Hotel, Portland, OR. 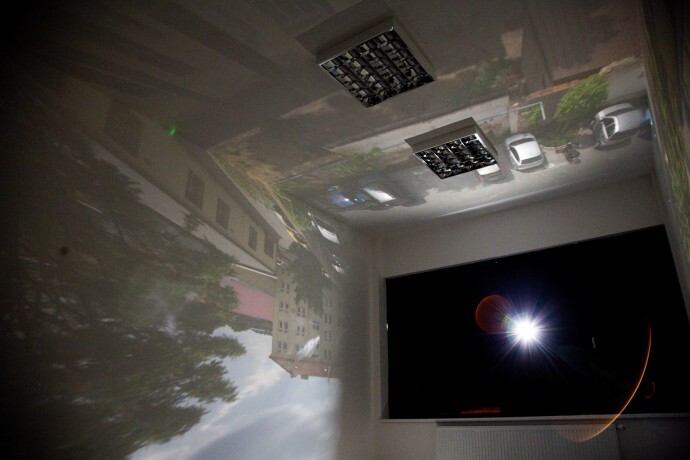 Image Source: Camera Obscura Project. Camera Obscura: Outside In(n) 46. 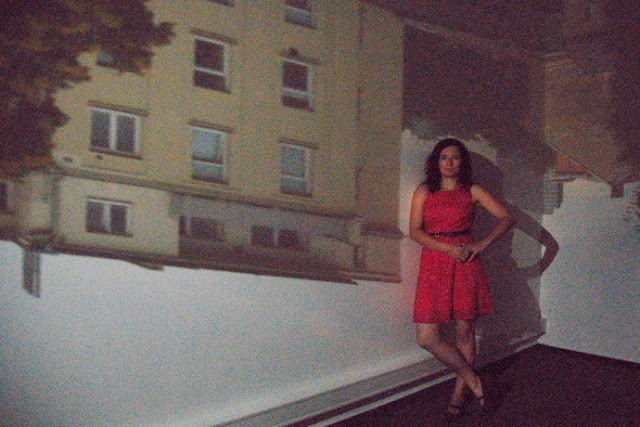 Image Source: Camera Obscura Project. 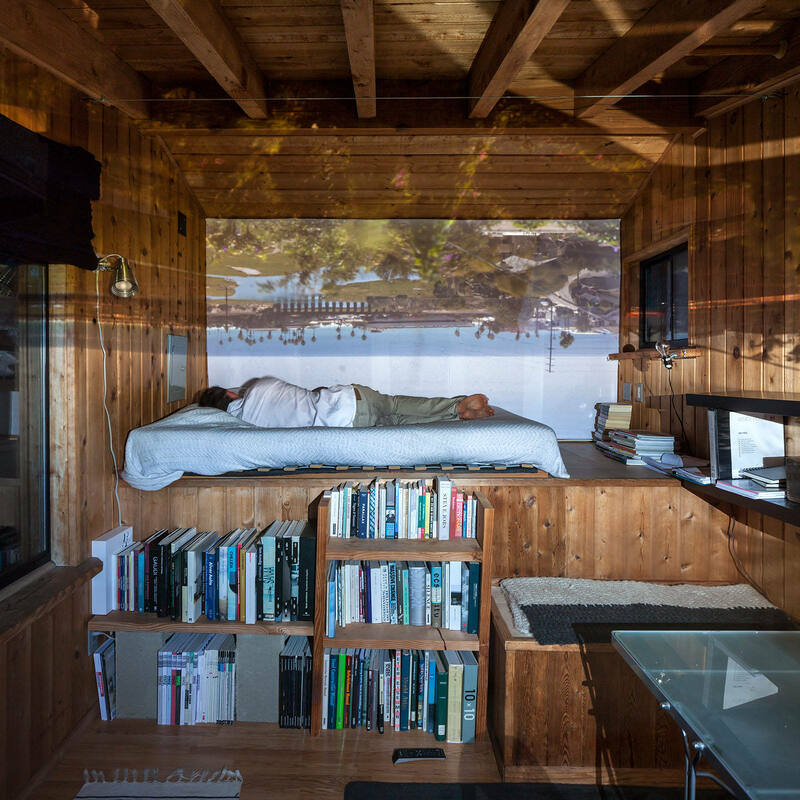 Camera Obscura: Outside In(n) 93, architect's dreams... in between projects; architect Jeff Svitak in his office/studio in Cardiff-by-the-Sea, CA. 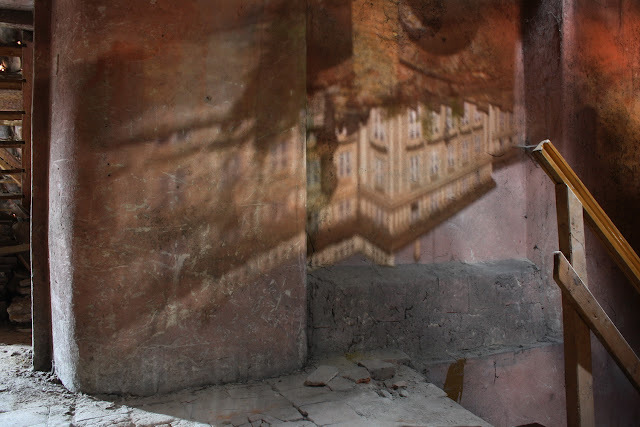 Image Source: Camera Obscura Project. greynoisemachine is an LP and podcast series of ambient field recordings made from the environments in videogames; this is their version of: 018 Gotham Industrial District (Batman: Arkham Origins) - greynoisemachine (26 July 2016). Reproduced under Fair Use. Batman is © DC Comics/Warner. Video Source: Youtube. This is a sad state of affairs, when almost every trumpeted effort to protect sacred values becomes a manoeuvre which insidiously twists against itself. We know that something is wrong. Other than blaming one's inverted mirror image, there seems to be nothing one can do to stop this. It becomes easy to go deeper into narratives, and retreat into distraction and fantasy. The Americans are particularly consumed now by inner turmoil. They project their national soap opera onto everyone and everything. When George W. Bush was president, the whole world became like J. R. Ewing's Dallas. Now that Donald Trump is president, the entire world is like Gotham City. Depending on your political outlook, Trump is either Bruce Wayne/Batman or he is the Penguin, Two-Face, or even the Joker. Gotham City / Arkham City Rooftops (Batman) - Background Ambience (16 May 2016). Video Source: Youtube. This pattern is disturbing. It means that the history of our time cannot be understood without understanding the power of fictitious narratives. My Awaken the Amnesiacs series partly turns to the arts to grasp how to do this. To trace the rise of the cyber-surveillance state, we need to speak to visual artists, who have devoted themselves to understanding the art of seeing. 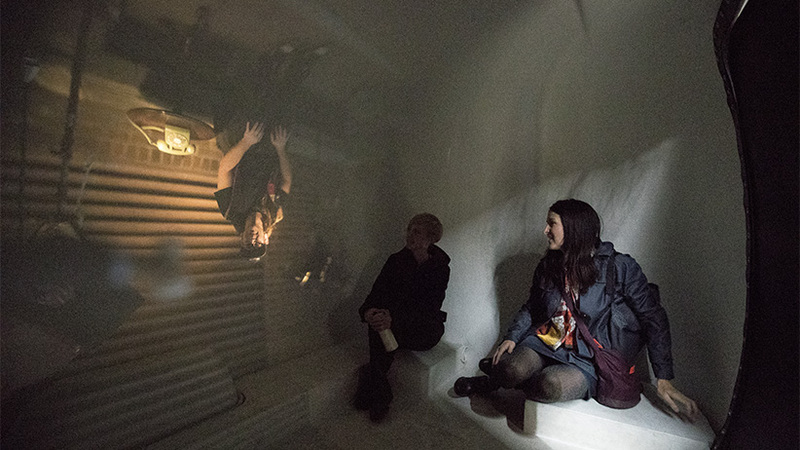 To depart from the camera obscura, we need to speak to fiction writers, who know the conventions of story-telling in fantasy and other imagined narratives - and they know how to climb onto the Fourth Wall. Khachaturian - Masquerade Suite - Waltz (28 January 2009). Video Source: Youtube. Reality is waiting on the other side of the Fourth Wall. On the eve of 2019, we should be sick of the frantic infotainment masquerade. Are we not tired of the Two Minutes Hate that hits the brain's soft pressure points, every single day? It's time to drop the masks and leave the party. Aram Khachaturian - Gayane Ballet Suite (Adagio) (6 March 2010). Video Source: Youtube. If you search, you will find real people who have stepped back from the narratives of politics and fantasy and remembered that they are human beings who can talk to other human beings. They are trying to solve problems in real ways, not through auto-think, blame, obfuscation and diversion. "Eric Weinstein coined the term 'The Intellectual Dark Web', to describe a group of heterodox thinkers who have risen to prominence on the internet. It includes Jordan Peterson, Sam Harris, Joe Rogan, Dave Rubin, Bret Weinstein, Heather Heying, Douglas Murray and others. In this interview with David Fuller of Rebel Wisdom he explains the purpose and genesis of the IDW, and how the growth of a new ideological worldview has made it necessary." Inside the Intellectual Dark Web, Eric Weinstein (12 December 2018). Video Source: Youtube. One such individual is mathematician, economist and Managing Director of Thiel Capital Eric Weinstein, who this year coined the term 'Intellectual Dark Web' (IDW) to describe a counter-institutional and anti-mainstream-media, but pro-public, online intellectual movement. Weinstein insists that we must cobble together hybrid systems from different perspectives. Another individual who works in this sphere is Eric's brother, evolutionary theorist, Bret Weinstein. In the Patreon video below, and from a more liberal perspective, Bret Weinstein discusses potentials which could improve the general lot of people and equalize opportunity in the era of high technology. The first suggestion he makes is to stop the waste of resources on services like text messaging that are not necessities. The Path to an Excellent World (29 March 2018). Video Source: Youtube. "We are not yet aligned enough to trust each other [across different areas of expertise]. But ... what I've seen in the last nine months suggests there is a hunger for people who are authentic to attempt this job. And what surprised me most is that many people who ... don't agree with me politically are still listening because at some level ... they detect that ... there's a big difference between listening to somebody who[m] you disagree with, but who you believe is fundamentally ready to sacrifice for the same cause and therefore you know that their disagreement is actually motivated not by self-interest or something, but by a difference in their understanding of how to achieve some shared goal. If we can get to that page, where we can say, 'Hey, we all agree on the experiment; we all agree that the objectives are these; and we disagree over what will lead us to those objectives,' then we can have a rational conversation." Weinstein's Patreon account features several blog posts and his Youtube channel and Medium account more content in which he applies evolutionary and engineering theories to civilization. This is a civilization beyond the current confines of modern political ideologies.